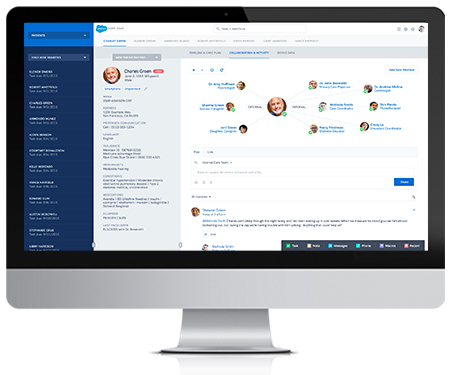 See how Salesforce Health Cloud is leading the way in connected, 1-to-1 patient care. Get a complete view of your patients in one location with rich, contextual data for everything from current conditions to medications. Make smarter care decisions with a collaborative care timeline. Engage with patients more deeply through private communities. And do it all from your mobile device.